How unemployment affects an individual? Perhaps the most challenging social issue faced by the world as a whole in the present times is unemployment. The younger generation is being greatly hit by this social phenomenon, with a lot of educated youth looking for jobs but not being able to find any. Unemployment has severe consequences on the nations that it attacks. It affects the overall economy and results in an increased crime rate. Unemployed youth also turn to drug abuse, excess smoking, drinking and other such activities to distract their mind, which harms not only them, but also hampers the overall security and safety of the society. Unemployment not only hampers the nation as a whole, but also has serious consequences on the unemployed individual. It jeopardizes the health of the person, and affects his or her mental and emotional well being. The unemployment rate of a country is directly proportional to its population. In other words, the more the population in a country, the greater will be the number of unemployed people. Sadly, it is not just the uneducated people who lack skills and knowledge to perform a number of specialized jobs that are facing problems in looking for a job for themselves, the same is the case with the educated and urban youth as well. While inflation, recession, corruption, industrialization and certain other factors do lead to a reduction in the number of employees that a firm needs, population explosion further aggravates the problem. What makes matters worse is that a job is needed not just to make ends meet and to earn a livelihood, but also because it promotes the self esteem of an individual, and makes him or her feel useful. At the same time, it instills the employed with a sense of belonging, achievement and confidence, which makes life worthwhile. On the other hand, unemployment causes anxiety issues, and in extreme cases, even depression. 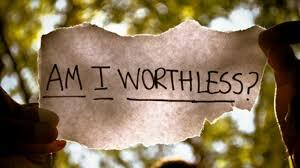 It leads to a fall in self-esteem, and results in poor health of the individual. 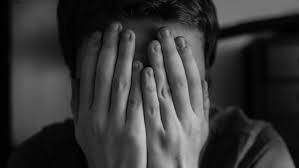 In fact, the relation between unemployment and mental well being is frequently talked and researched about, since unemployment can create major havocs, when talking about the emotional stability of the concerned individual. How unemployment affects the capability of an individual? Unemployment is usually considered to a provisional phase in the life of an individual. A person is thought to be unemployed during school, and the starting one or two jobs. Also, unemployment is open ended, since no one knows when the situation would end. It creates uncertainties and anxieties about the future in the mind of the individual, and blocks all paths of positive hope and thinking. The individual in question then loses all control over his or her own life, and the implicit negative outcomes of unemployment could not have been more obvious than this. As a result of unemployment, one cannot maintain the desired standard of living, and reduces the individual’s agency over his/her own life. Thus, it inflicts major limitations on the capability of the individual, and also causes great torment and sufferings! 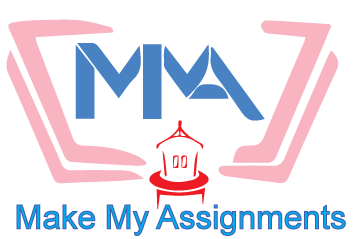 This article was written by an assignment expert from MakeMyAssignments. For more such blogs and discussions on these kinds of burning issues, visit the blog section of the website and feel free to share your valuable opinions with us. We also provide excellent assignment writing services to students all across the globe to make sure that they score well in their exams and can find excellent jobs for themselves later on. Our assignment services are reliable and affordable, and will go a long way in helping you achieve your long term goals! previous post: How extra-curricular activities aid the holistic development of children?